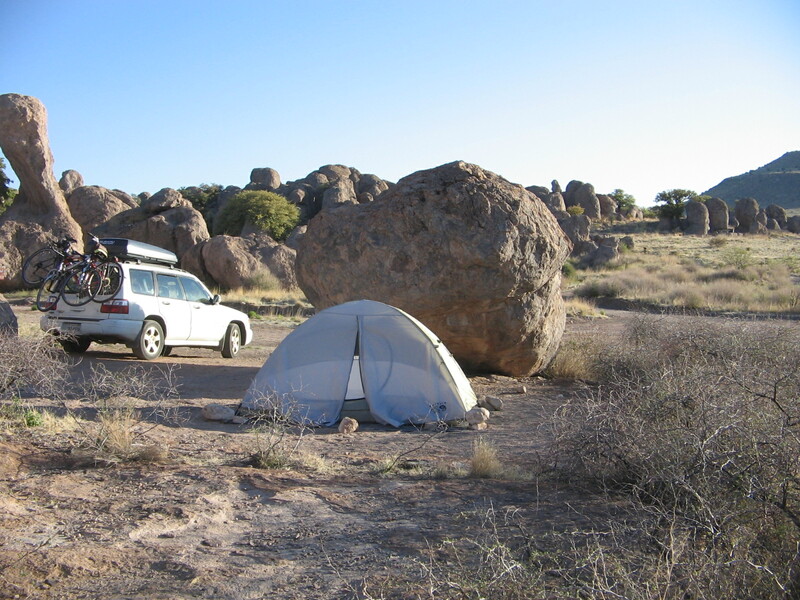 In April, desert camping is definitely preferable over camping in the mountains. 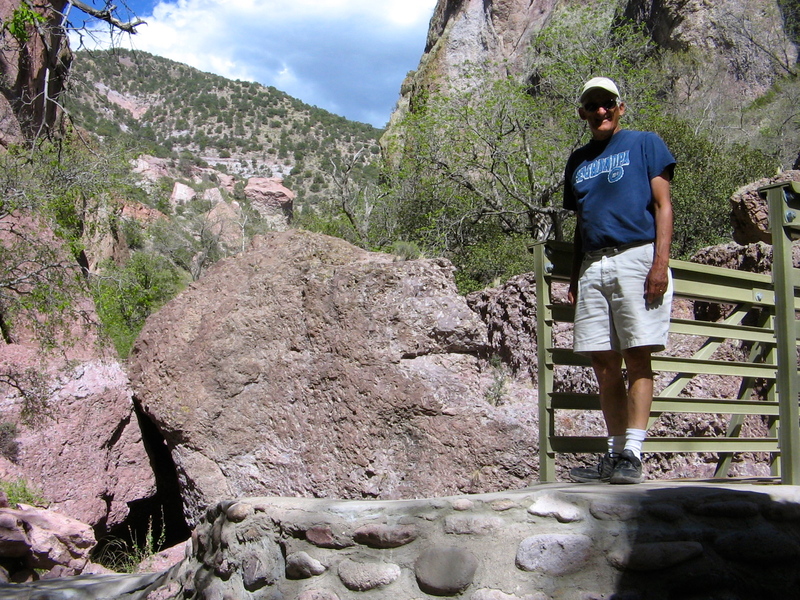 After our shivering experience at the Bluewater Lake campground last week we basked this week in the much warmer temperatures at 2 state parks in southern New Mexico. 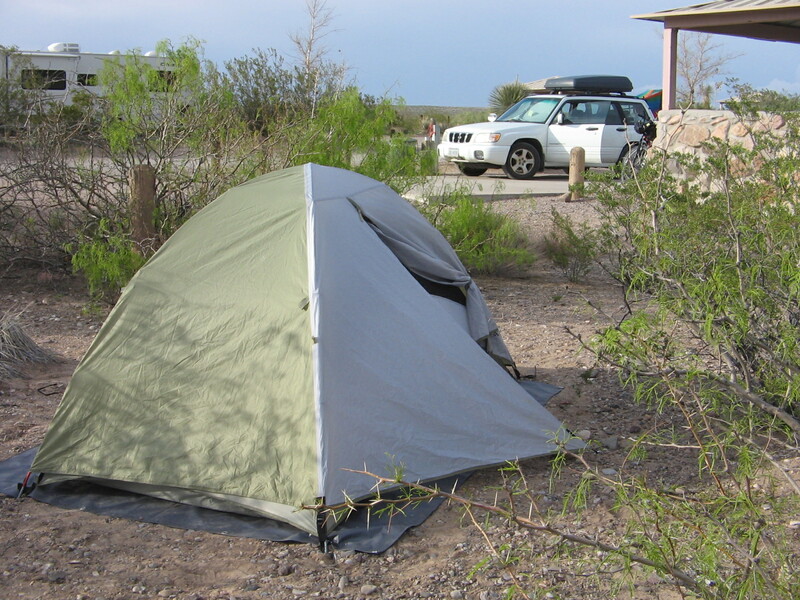 We camped for 2 nights at Leasburg Dam State Park near Las Cruces, NM. 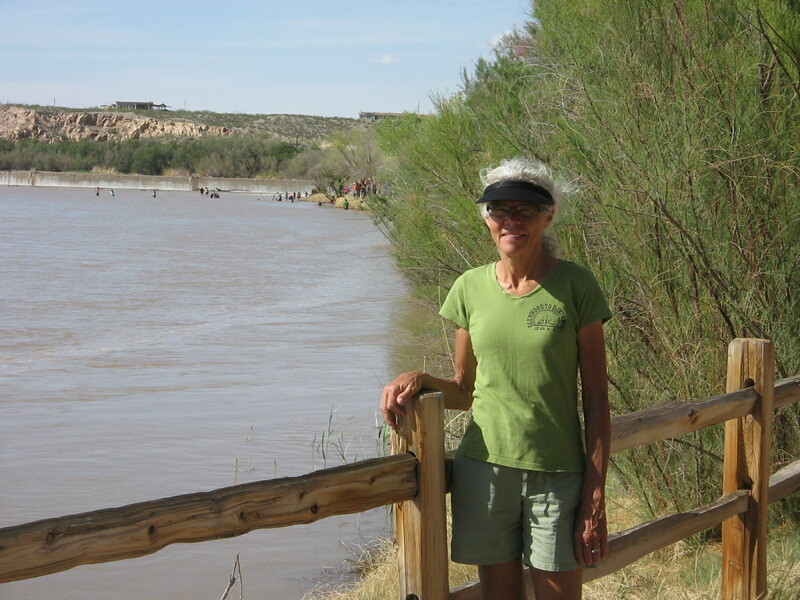 Last month on our way up to Albuquerque we had stopped for a brief visit in Las Cruces and had been dismayed at the lack of water in the Rio Grande River. The Upper Mesilla Valley is heavily dependent upon agriculture and the Rio Grande provides the water needed for irrigation. 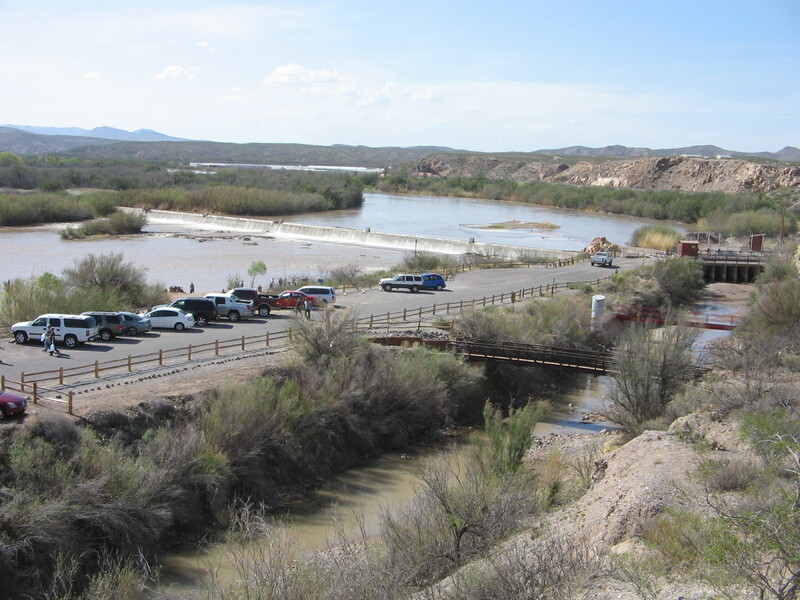 The Leasburg Dam was actually built to channel Rio Grande River water into Mesilla Valley irrigation canals. Between our last visit and this visit we were amazed to see the difference in the amount of water in the river. Elephant Butte Dam further upriver had been opened the end of March to allow more water to flow downstream. Leasburg Dam on the Rio Grande River near Las Cruces. 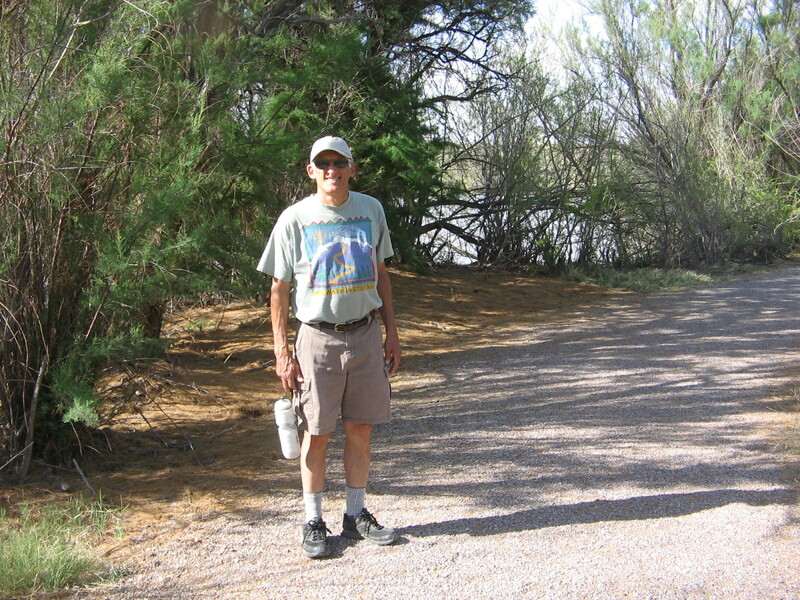 Enjoying a stroll on a trail along the Rio Grande at Leasburg Dam State Park. 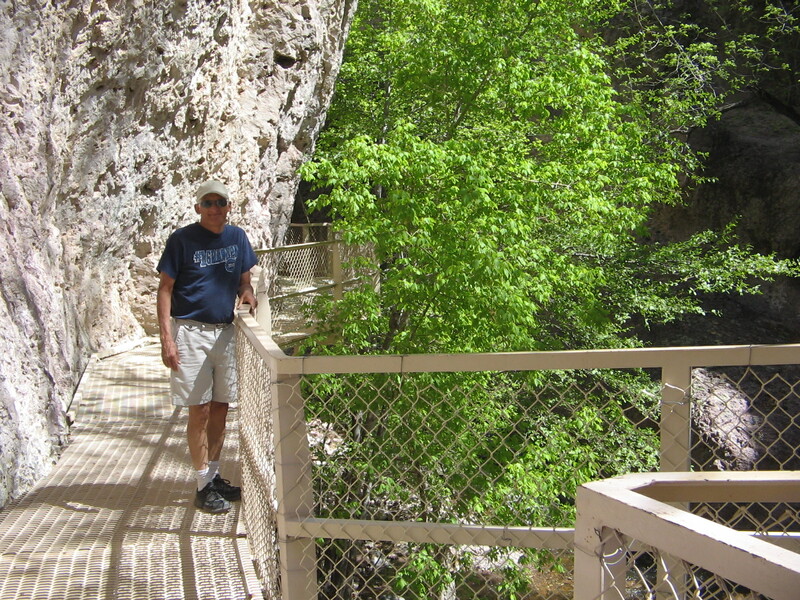 The one bike ride that we took while at Leasburg Dam was on the highway from the park back into Las Cruces. 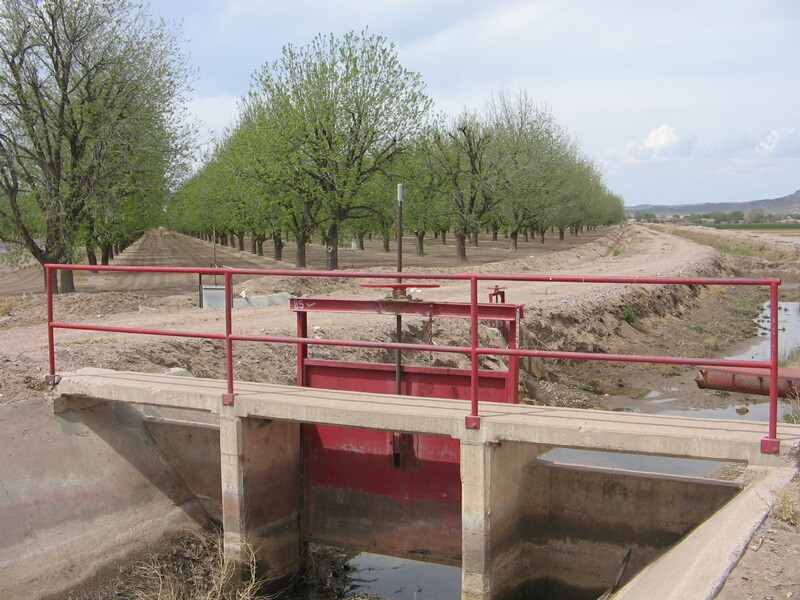 Almost the entire 15-mile trip was through the pecan orchards of the Upper Mesilla Valley where the spring irrigation of the orchards was very much in progress. 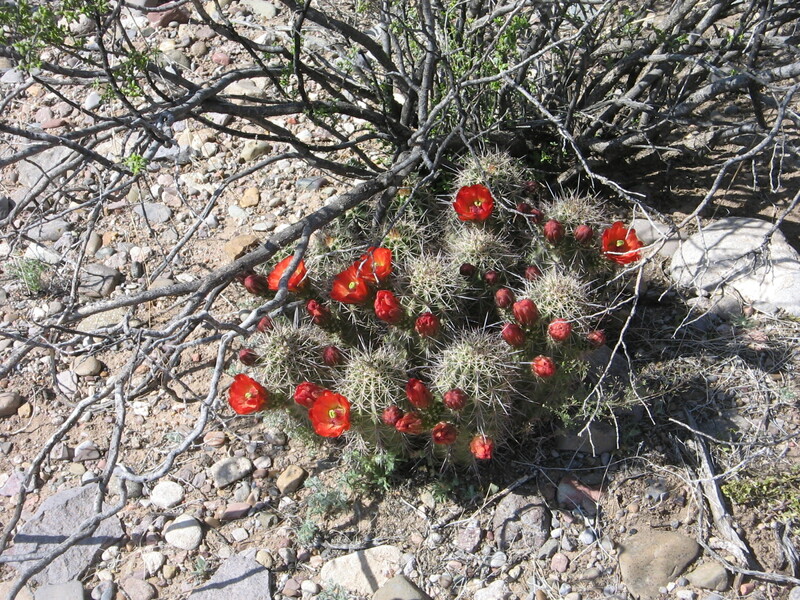 Another sign of spring that we enjoyed was the cactus in bloom in the desert around the park. 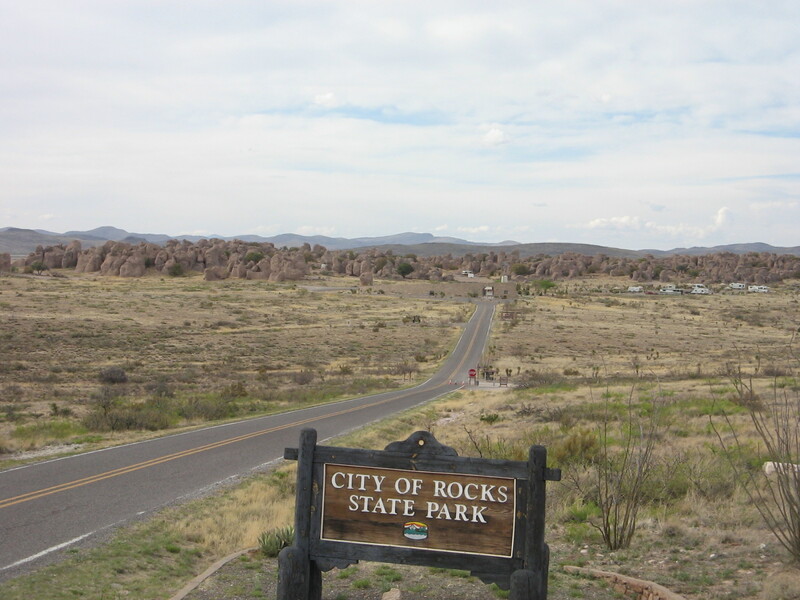 The other New Mexico State Park that we spent 2 nights at was City of Rocks State Park in the southwestern part of the state between Deming and Silver City. This was probably the most unusual place that I’ve ever camped. 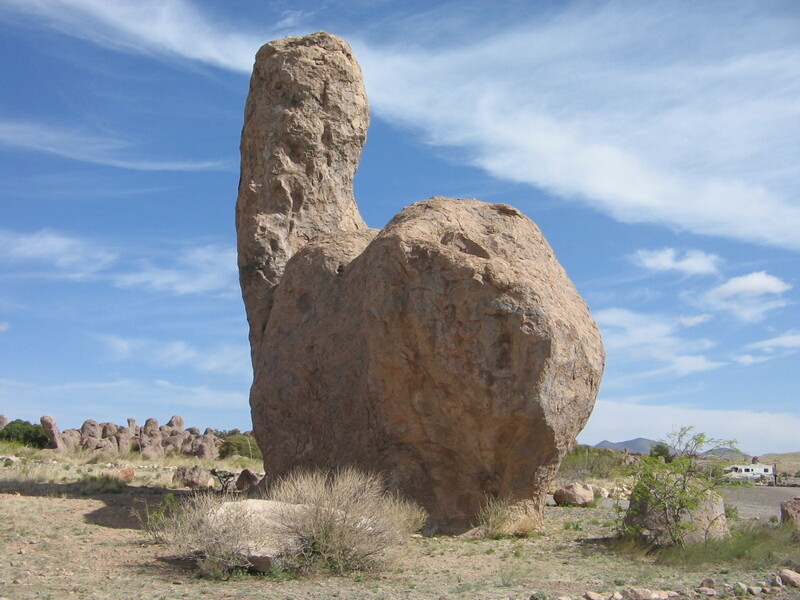 The park is a geological wonder of huge boulders in the desert in the middle of nowhere beneath some of the darkest night skies in the country where the stars truly light up the night sky. 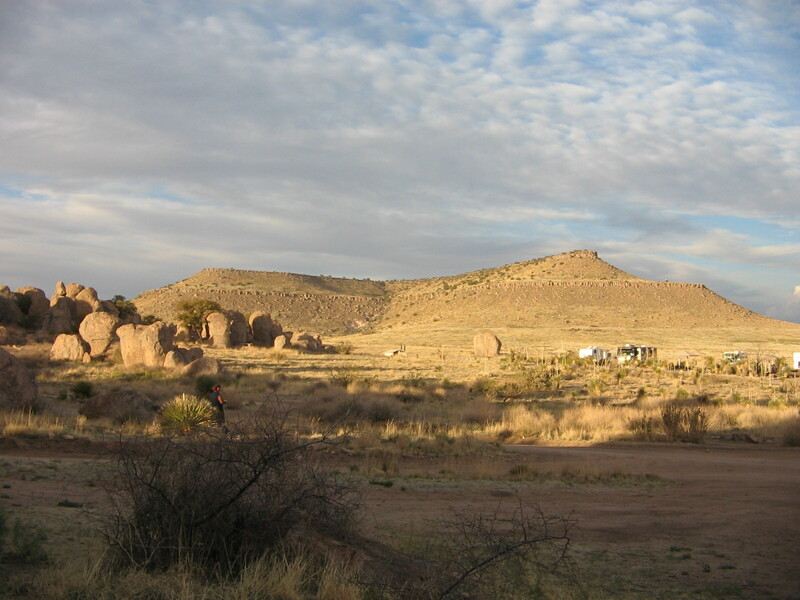 The campsites are tucked away in amongst the boulders. The paths between the boulders are like streets of a city. What a fun place to explore in the day and an absolutely peaceful and quiet place to spend the night. 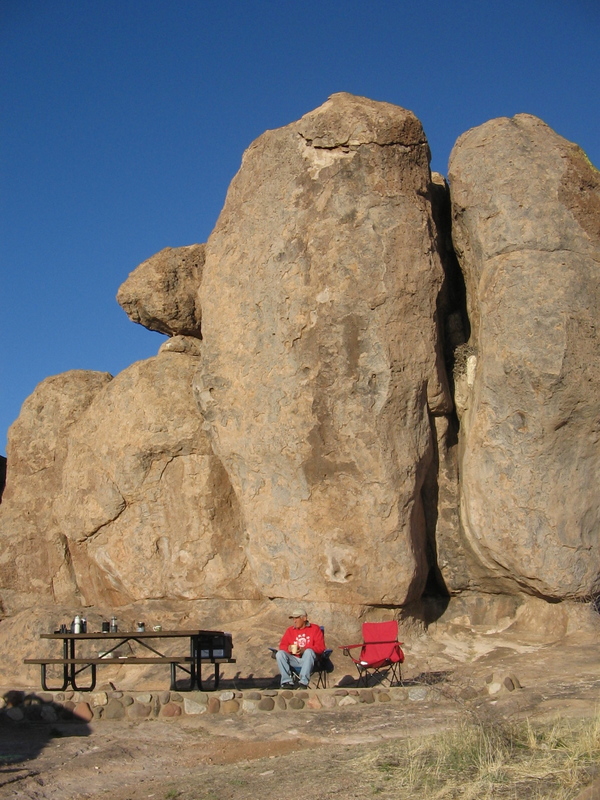 Our campsite at City of Rocks State Park. 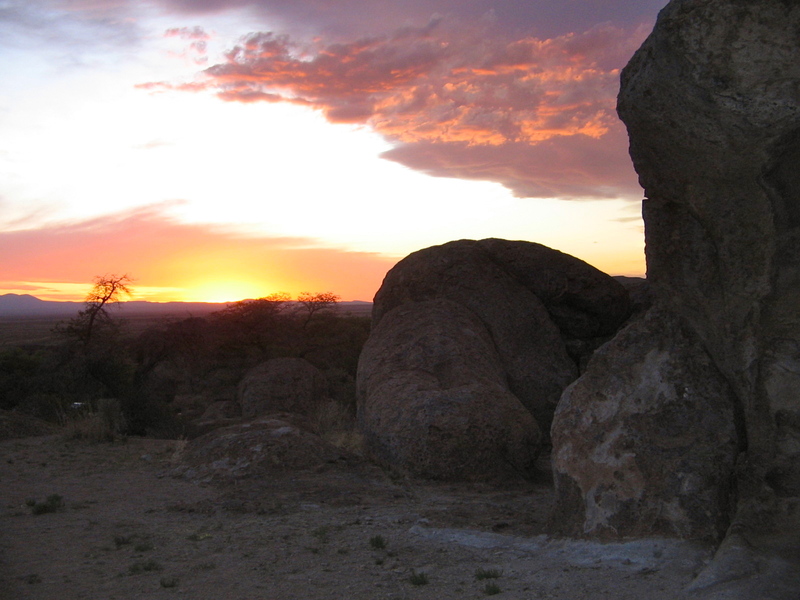 Sunset at City of Rocks State Park. 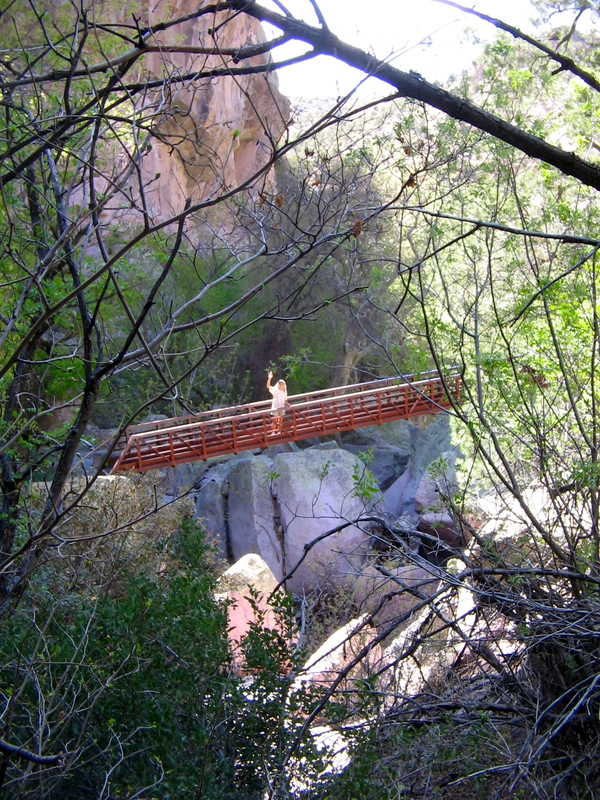 While camped at City of Rocks, we took a day trip north into the Gila National Forest to walk the Catwalk Trail a hanging walkway that follows the path of an old pipeline built along a stream in Whitewater Canyon. 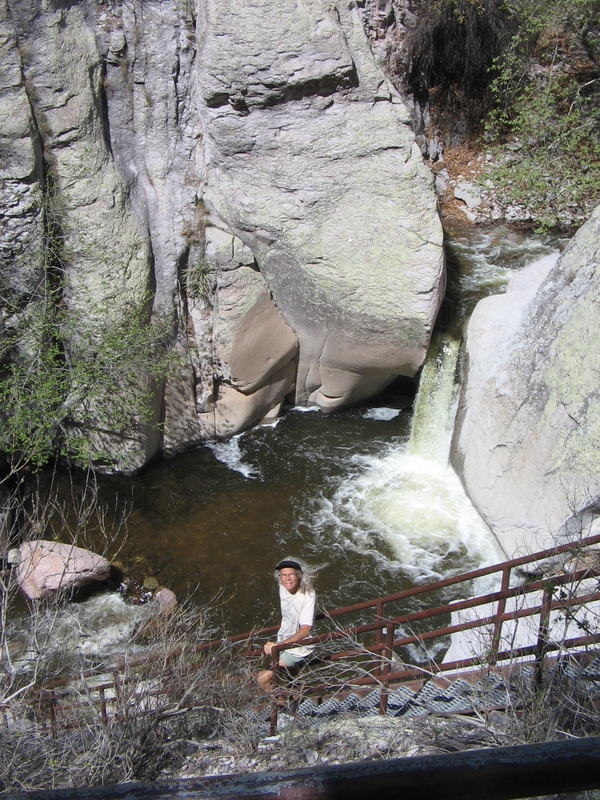 “Whitewater” is certainly an appropriate name for this stream that tumbles between the steep, narrow rock walls of the canyon. Even at this dry time of the year in the desert there was an amazing amount of water. On the drive back to camp from the Catwalk we took a short side trip east of Silver City to view the open pit copper mine at Santa Rita. Grant County has been the most important metal-producing county in New Mexico. 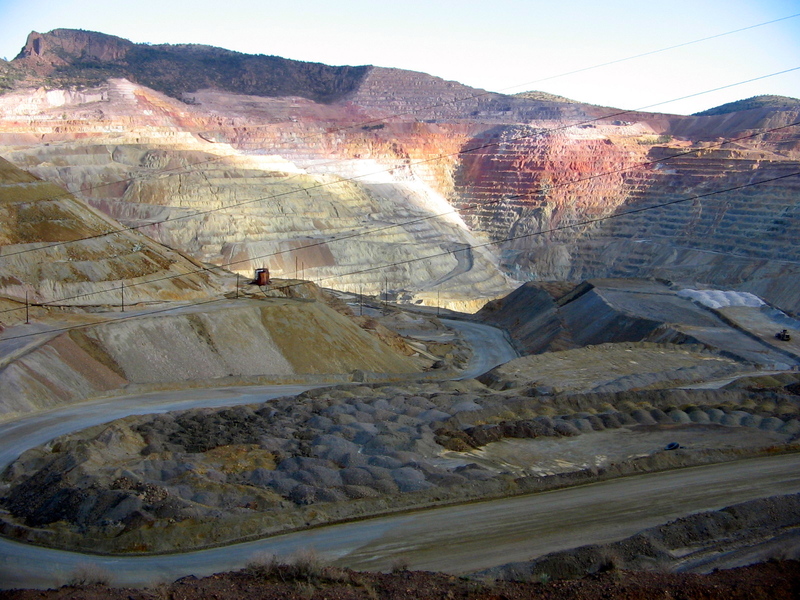 Low copper prices in recent years caused many mines, including this one, to be shut down, but last year the current owners, Freeport-McMorRan Copper and Gold, Inc., have restarted operations there. Today we said goodbye to New Mexico and continued progress westward into Arizona. Tonight we are in a motel in Globe, Arizona, and tomorrow we head to Phoenix to spend time with family there. 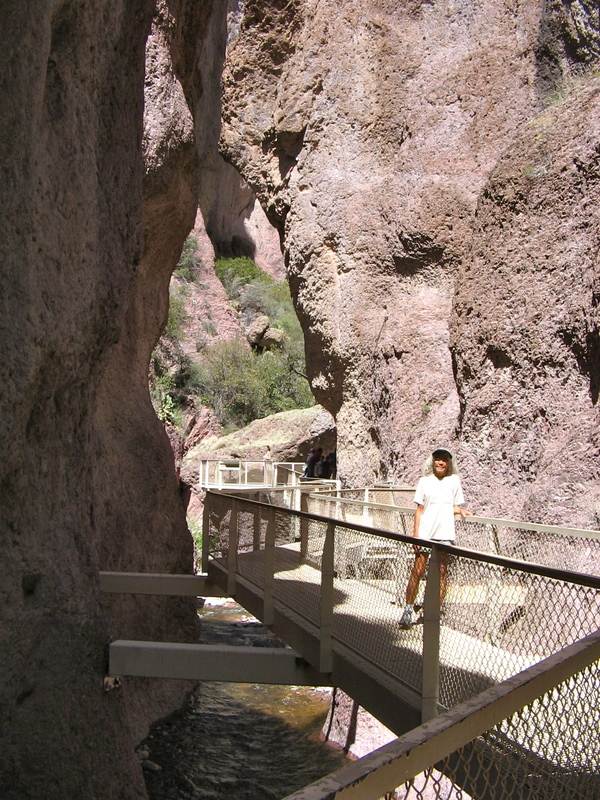 Previous Previous post: Back to southern New Mexico.